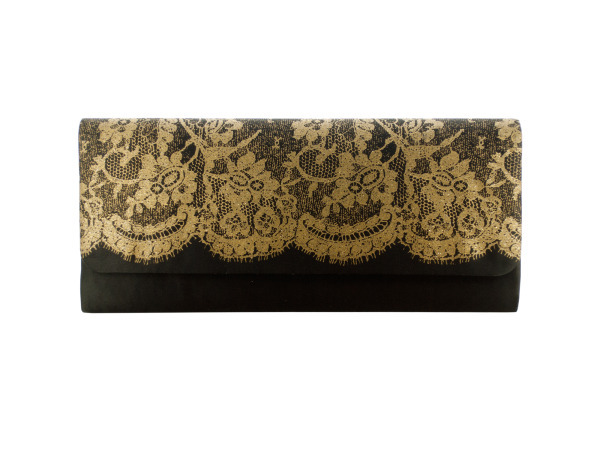 Add some elegance to your outfit with this Ladies Clutch Bag with Lace Print, made of satiny black material with a glittery gold lace print on the flap, satiny gold interior and a snap closure. Measures approximately 10.25" x 4.75" x 1.25". Comes packaged in a poly bag.